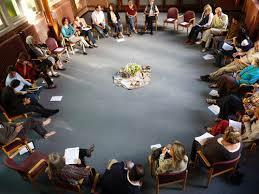 Restorative Circles allow each person to have an equal opportunity in making their voice heard. This experience has been developed to offer an exploration into Fear, Shame and Forgiveness and how some people have been able to travel these difficult paths. This encounters will be ideal for anyone wanting to explore the legacy of oppression in a safe, informal and relaxed environment. It may be that some are looking for justice, retribution, revenge, help or social change. We will be helped by experts to explore these issues too. 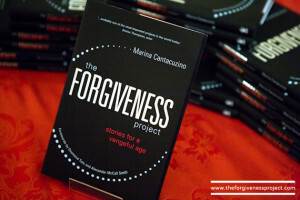 The Forgiveness Project was founded in 2004 in response to the invasion of Iraq and as a way of countering the rhetoric of retaliation so prominent at that time. Journalist, Marina Cantacuzino, set out to collect stories from victims and perpetrators who had chosen to resolve conflict through dialogue and restorative means. Introduction: What is fear? Introductions, Youtube and the ‘field’. Listening to the wisdom of former enemies (individuals, communities, and representatives of nations in conflict) who have found the courage to engage in face-to-face restorative dialogue with the person or parties that harmed them offers many profound lessons. Understanding myself in this ‘field’ of fear and shame. (Accurate self-representation) While it might not be the right time to offer forgiveness, it is most certainly the right time to talk about our experiences of fear and shame in order if nothing else to draw a line under the dogma of vengeance. Narratives of hope remain an essential antidote at such bleak and uncompromising times. Youtube (Simon Baron-Cohen: ‘Zero Degrees of Empathy’ – The Forgiveness Project 2013). Dr. Mark Umbreit, PhD, founding director of the Center for Restorative Justice and Peacemaking at the University of Minnesota, explains his work in restorative justice in this documentary.